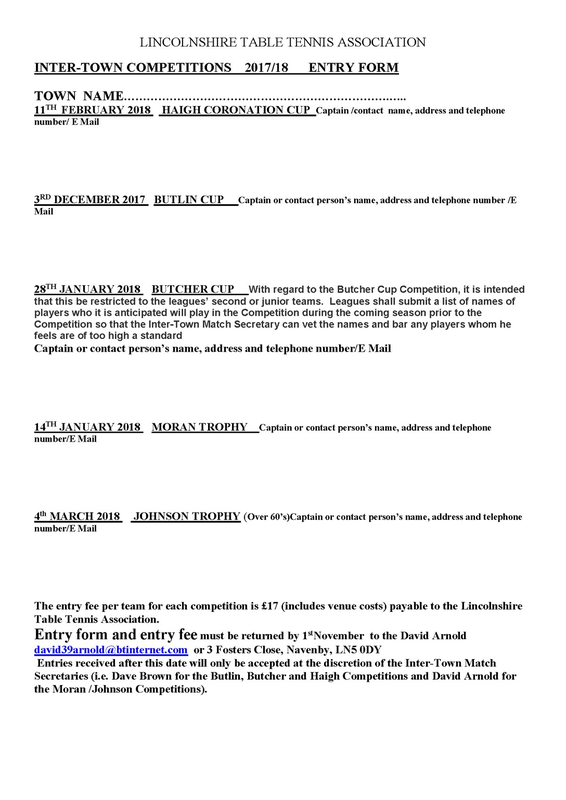 Please find the email below and attached entry forms for the Inter Town competitions held by Lincolnshire Table Tennis Association. If you are interested in playing please note the entry deadline of the 1st November. If there are any problems meeting this deadline please contact David Arnold below.